Chinese e-commerce company Alibaba Group, which is preparing for an initial public offering in Hong Kong, has bought a minority stake in online shopping company ShopRunner, the Financial Times reported on Friday. The acquisition is part of a string of investments by Alibaba, the world’s largest e-commerce group, as it prepares for its IPO, the FT said, citing people familiar with the transaction. Alibaba is paying $75 million for the stake in ShopRunner, run by former Yahoo Chief Executive Scott Thompson, the FT reported. 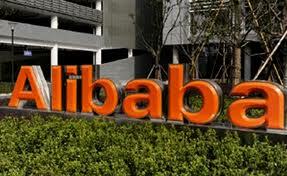 The investment will add to a long relationship between Alibaba and Yahoo, the FT said. Yahoo owns almost a quarter of Alibaba, the newspaper said. Spokesmen for Alibaba and ShopRunner could not be reached for comment. Alibaba has said that no final decisions have been made about where it will list its shares, but bankers expect the IPO to take place in Hong Kong, the FT said.